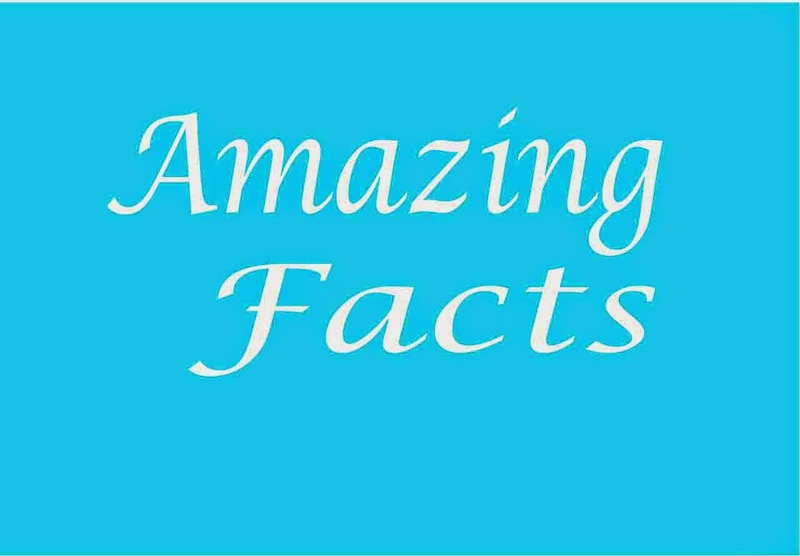 Some Amazing Fact Which May be Surprise You.- Part - 1 | Study Valley - A Complete Education Blog. Some Amazing Fact Which May be Surprise You. Fact: It would take 1000 years to watch every video on Youtube. Fact: Donald Duck comics were banned in Finland because he doesn't wear pants. Fact: Going to work is three times statistically more dangerous than a war. Fact: The average four year old child asks over four hundred questions a day. Fact: Humans share fifty percent of their DNA with bananas. Fact: Shani Shingnapur is one of the most amazing village of India where the houses don't have doors. Fact: India's first rocket was brought on cycle. Fact: The official Sanskrit name for India is Bharat Ganarajya. Fact: Sachin Tendulkar got out for a duck only once in his Ranji Trophy career and the bowler was Bhuvaneshwar Kumar. Fact: A cockroach can live several weeks with its head cut off. Fact: Helium gas was discovered in India (Andhra Pradesh) in the year 1868 by a French Astronomer. Fact: There are about 3 crore mosques in India - more than any other country in the world. Fact: India is the only country in the world which has both tigers and lions in the world. Fact: If you properly shuffle a deck of cards, in all likelihood, the resulting deck has never been seen before in the history of the world. Fact: About half of the world's whiskey produced is consumed in India. Fact: Ketchup was sold in the 1830s as medicine. Fact: India is the first country in the world to produce steel. Fact: Graphene, the world's strongest material, is a million times thinner than paper but 200 times stronger than steel. Fact: There are cities called Delhi, Bombay, Calcutta and Madras in United States. Fact: A banana is a berry and a strawberry isn't. Fact: Your brain is made up of 60% fat. Its actually the fattest organ in your body. Fact: A hug that lasts for 20 seconds releases a hormone - Oxytocin, which can make someone trust you more. Fact: Speaking, seeing somebody else smile actually makes you happier. Fact: Male puppies, when playing with female puppies, will intentionally let the female win. Fact: On the planets Uranus and Neptune, it regularly rains diamonds. Fact: What is called a "French kiss" in the English speaking world is known as an "English kiss" in France.